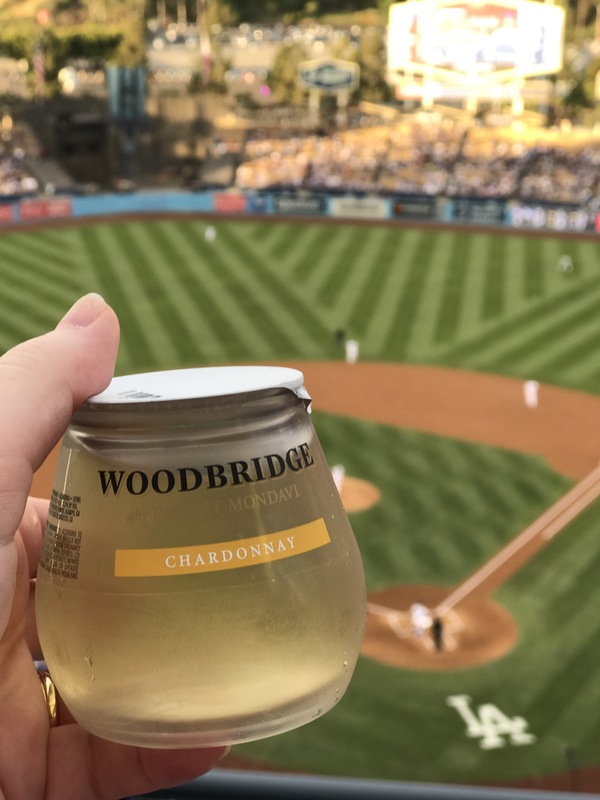 Al’s made it clear that I have to be better at sports watching in LA, so I am jumping in feet first. 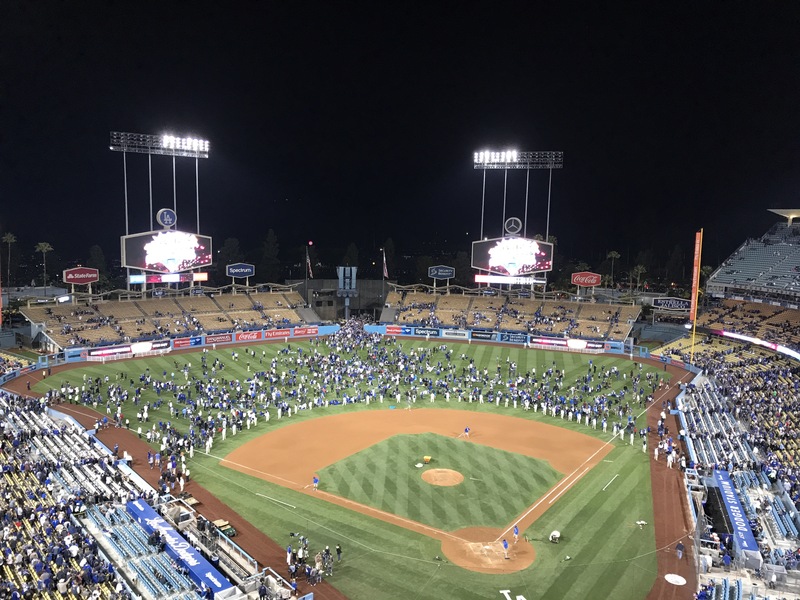 But what a conundrum: Chicago Cubs v LA Dodgers. So, why a conundrum? I made the Cubs my team after running a marathon in Chicago in 2015. They were in the playoffs (I think) and everyone was hoping the curse had been lifted, but it wasn’t. Until 2016, when we were back for Al’s marathon and they won!!! So despite never having seen them play, I made them my team. But the normal rules are: your team is the first place you live. So I decided to get past it by making Dodgers my second team. Basically, I was going to be happy whatever the results. We ended up getting our tickets through Stubhub, somehow they are cheaper than through the normal channels. It’s definitely worth checking what you can get there. They’ve laid out the stadium really well, with different entrances on different levels depending on your seats – this made it feel like you were moving rather than all trying to jam through at the same time. We got Top Deck seats, which are right up the top (I guess that’s where they got the name from) but I think they have a great Birdseye view. Besides, tix were less than $30- I am mastering cheap ticket nights out right now. 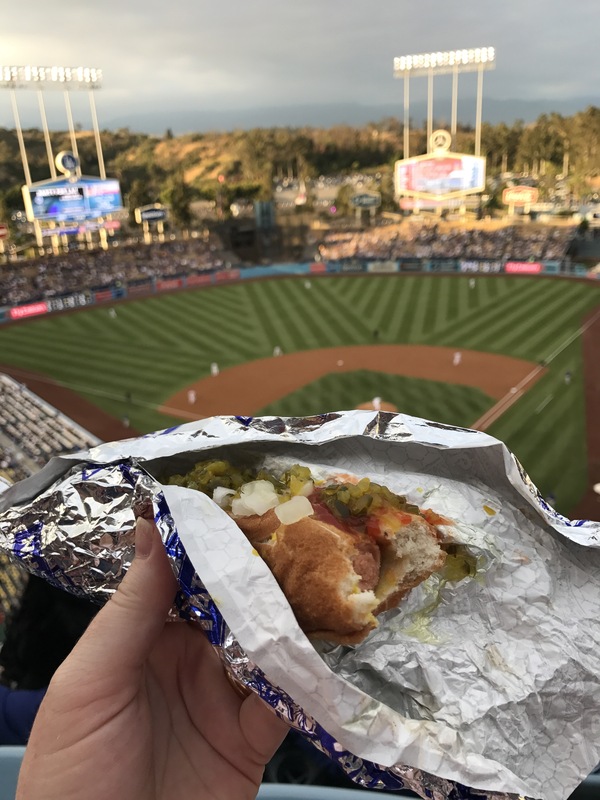 Food is going to set you back a bit (as it does at these things) but I don’t think you can go and not get a Dodger Dog for your first game. 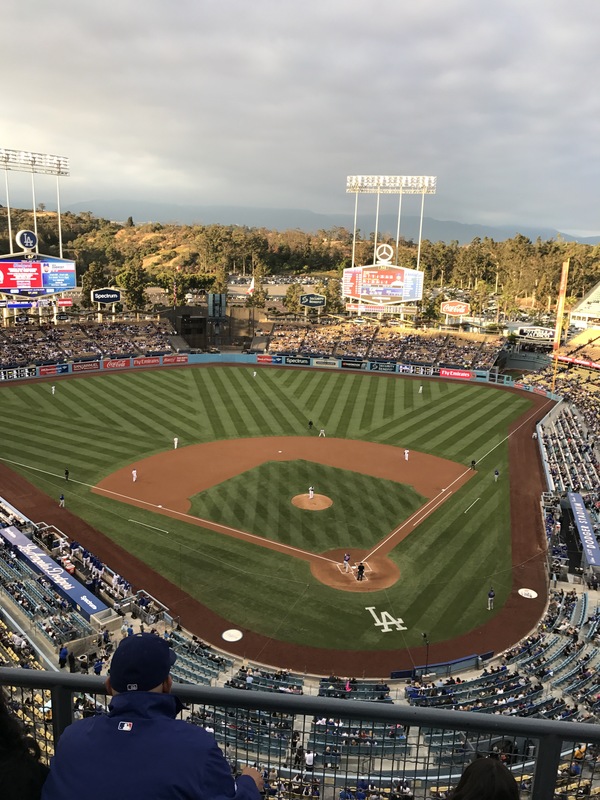 Next time I’m getting the Dodgers hat full of nachos – they look super cute and I was jealous when I saw others with them. Friday night baseball comes with a fireworks show. I love fireworks so this was a big draw card. Set to a Beatles medley I thought it was pretty spectacular. They actually let people on the field to watch the show, I just couldn’t be assed going all the way down. The best part about the walk? 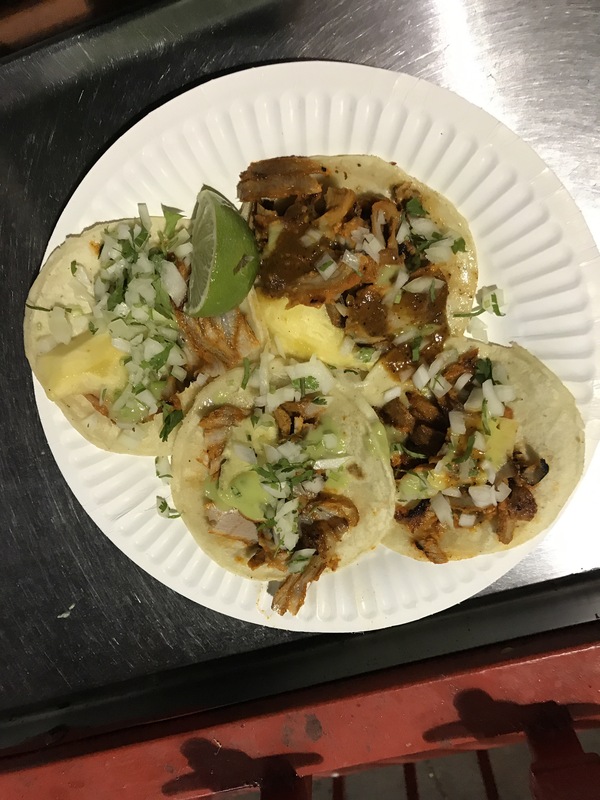 Stopping at Leo’s Taco truck. This truck always has a queue whenever I go past and the guy in front of me orderd 50! You know it’s going to be good. He has what looks like a Mexican shwarma and is just slicing that off with pineapple, then you sort out your sauce and salad. So good, totally worth the wait. 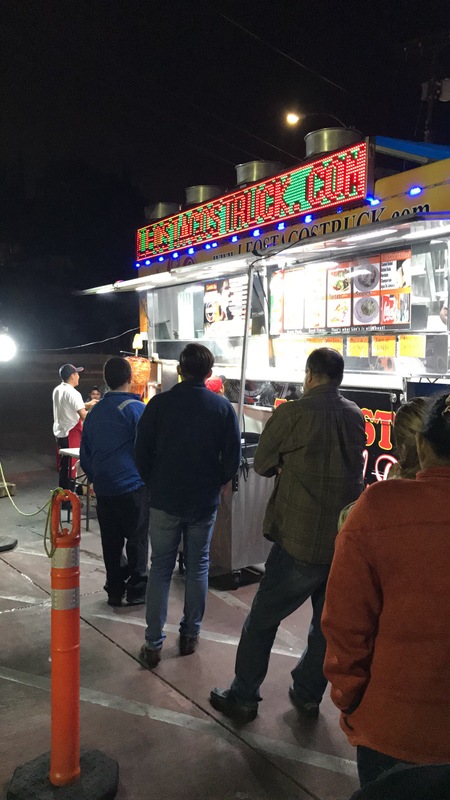 Especially at $1,75 a taco! I will be back Leo, and this time I’m ordering way more.